Chip’s has served up delicious burgers in Dallas for over 30 years. At its newest location at the Boardwalk at Granite Park, you can enjoy your burger on their patio, which comes with all the benefits that the Boardwalk has to offer. 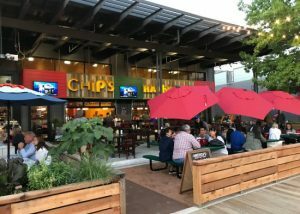 Firepits and lawn chairs, provided by the Boardwalk’s specially designed area for outdoor gatherings, are in abundance directly next to Chip’s patio. With an open concept connecting the restaurants and the Boardwalk, there couldn’t be an easier transition between exploring the Boardwalk’s waterfront view and dining outside on Chip’s patio. 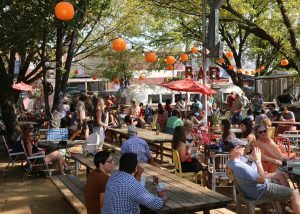 Coining themselves a “Come-As-You-Are Beer Garden and Adult Playground,” Truck Yard is truly a unique establishment. 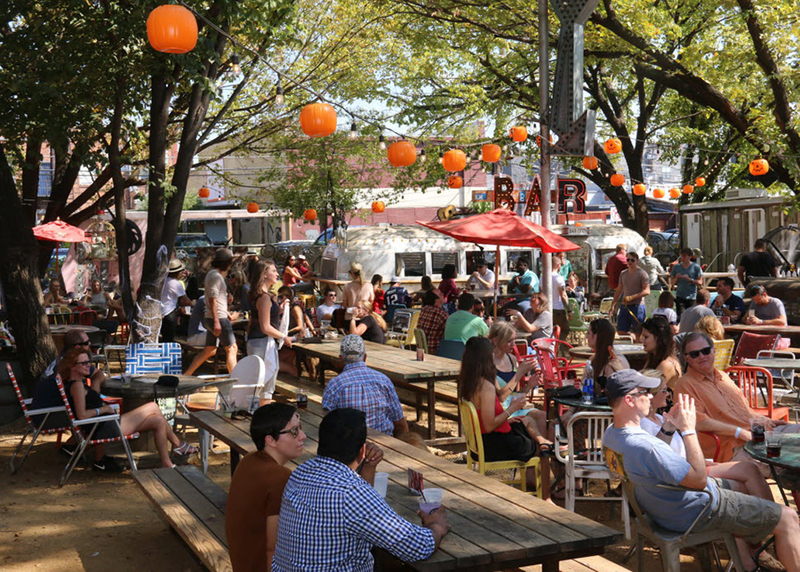 Including at least three rotating food trucks every single day, Truck Yard also offers delicious, daily cheesesteaks for anyone who needs a cheesy fix. Grab one of their cocktails on tap, and climb a spiral staircase to the top of their very own treehouse. Or perhaps lounging at one of their wooden picnic tables with your family (and dog!) is more your speed. Whichever you decide, you’re sure to enjoy this casual and unconventional atmosphere that keeps people coming back. Voted Dallas’ best farm-to-table restaurant, Mudhen doesn’t disappoint on ambience in addition to delicious, healthy food. 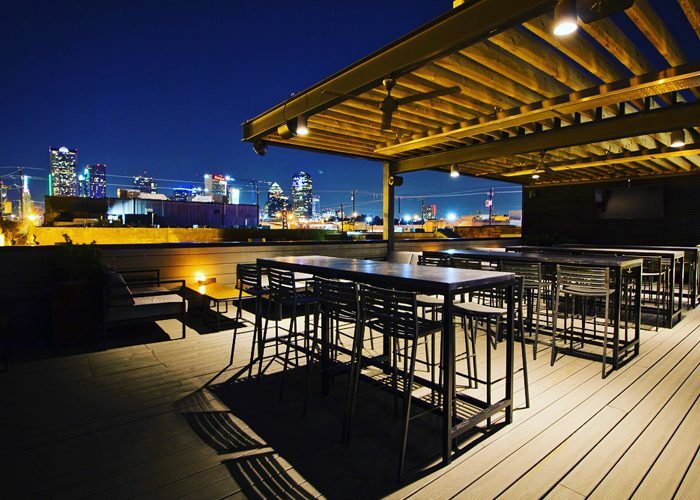 Their patio includes scenic views of the Dallas skyline and hanging shrubbery to instill the wholesome and fresh vibes that the restaurant has to offer. 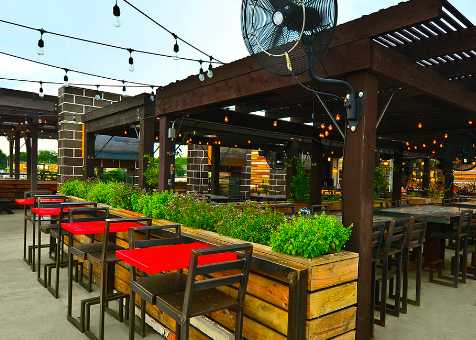 After tooling around its next-door neighbor, the Dallas Farmers Market, take a load off and get some fresh air at one of Mudhen’s spacious outdoor tables! 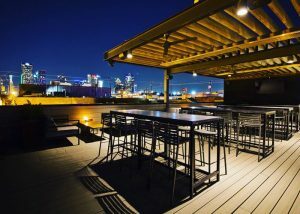 This rooftop patio, overlooking the vibrant streets of Deep Ellum, is spacious with plenty of high-top tables and couches to spare. Enjoy a craft cocktail or anything off their full menu, which features upper-scale bar food, such as Thai Sticky Ribs and the MXM Burger. Whether you’re spending your time people watching the streets below or enjoying the regularly scheduled live music, you definitely don’t want to miss out on this neighborhood gem. If you’re needing a more substantial meal, HG Sply Co. offers a full menu from their street-level restaurant. However, for both spirited and non-spirited drinks and delectable appetizers to nosh on, the rooftop patio is the place to be. Whether you need a casual post-work drink and snack or a place to watch your favorite sporting event, HG Sply Co. offers an expansive patio with several TVs and tables large enough for all your friends to join. On a health kick? Enjoy one of their homemade juices while taking in Lower Greenville’s views. 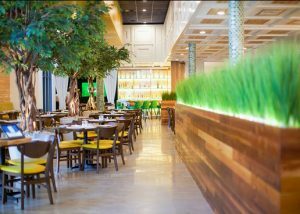 Trees and plants are scattered throughout Hugo’s, which creates a seamless transition between its sleek interior and one of their two patios. 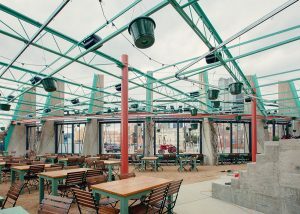 Table options with umbrellas or heaters for when it’s chilly, create a comfortable environment to enjoy their made-from-scratch Mexican cuisine, such as their Seafood Enchiladas (which have five different types of seafood!). Book their Tasting Table with nine of your friends to enjoy their world-class tequilas and mezcals, while getting some fresh air and relaxing on their spacious patios. Need a new opportunity to highlight your competitive streak? 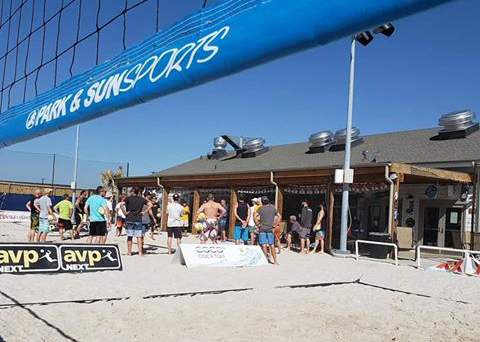 The Beachcomber offers the perfect combination of eats, drinks, and beach volleyball (yes, volleyball!). 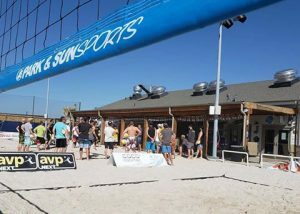 In addition to a full menu and a stocked bar, there are several white-sand courts for games of beach volleyball. If beach volleyball isn’t your thing, relax courtside around a firepit in one of their lounge chairs or at a table under their covered patio. With its pre-existing sidewalk patio perfectly placed among the shops of Watters Creek, Frogg Coffee Bar & Creperie was already a superb option for an afternoon pick-me-up. Now, this unique French-infused café is also opening up a Pop-Up Patio inside Watters Creek’s Tree House play area, which is adjacent to the restaurant. 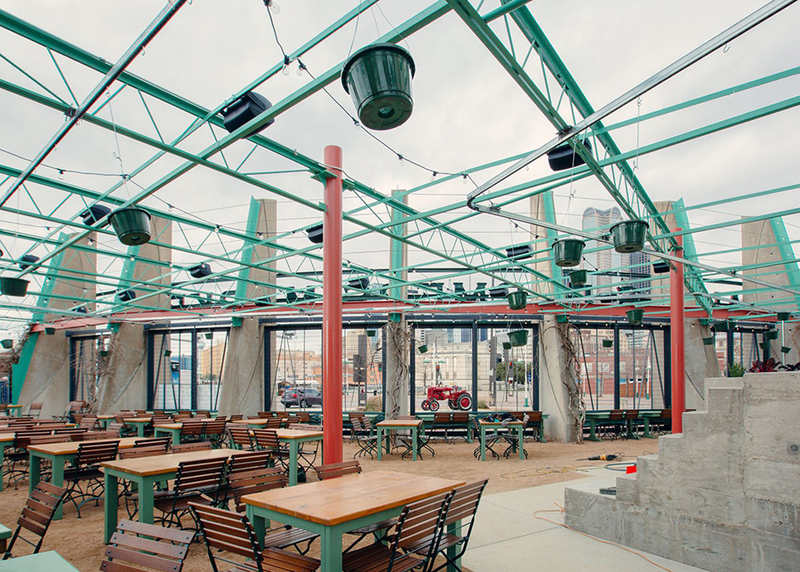 Friday, Saturday, and Sunday evenings, you can enjoy Frogg’s fare among the trees on the Pop-Up Patio. There couldn’t be a better place to cozy up and listen to one of the free outdoor concerts at Watters Creek. 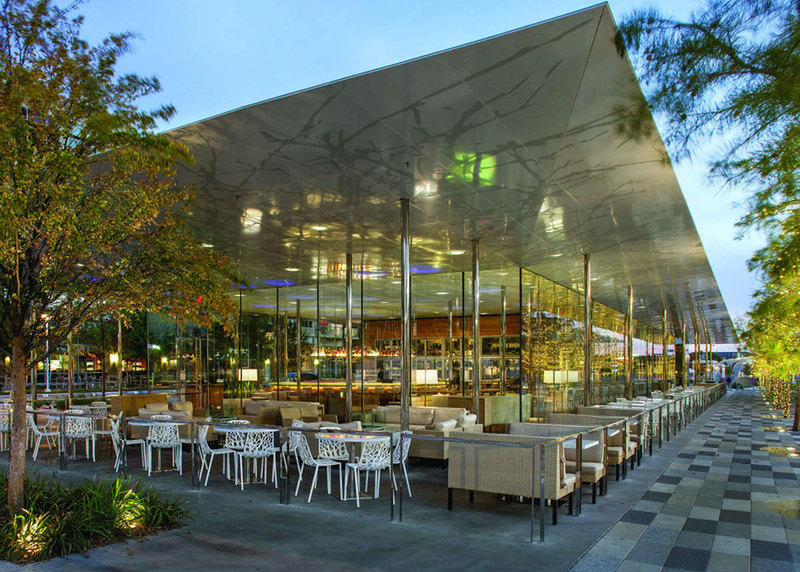 Savor’s floor-to-ceiling glass building offers a unique and modern view of Klyde Warren Park and downtown Dallas. With stainless steel finishings, comfy couches surrounding a large firepit, and several fans or heaters depending on the weather, Savor has thought of every amenity to make your outdoor experience delightful. But don’t let the sophisticated food and atmosphere fool you—Savor maintains a casual vibe by inviting you to bring your four-legged friends along for a meal or drinks on their patio. An internationally renowned Brazilian steakhouse, there’s no worry that whatever dish you decide on is sure to be noteworthy and delicious. 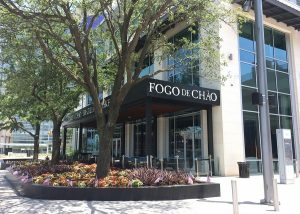 However, what really sets this location apart is the opportunity to devour Brazilian delicacies while seated on their patio alongside the sophisticated streets of Legacy West. 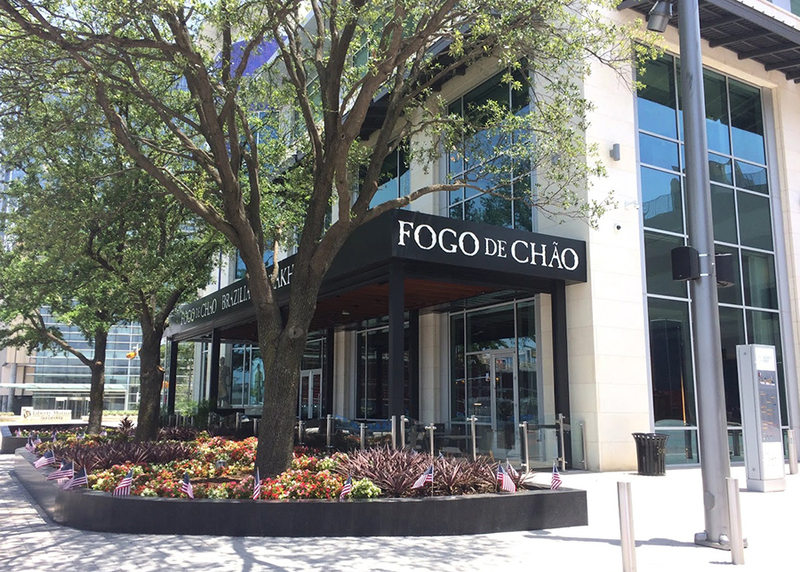 Enjoy your traditional churrasco-style meal complemented by the sounds carried from Legacy Hall’s outdoor music venue (which is right next door! ).